This is one of the most beautifully illustrated catalogs out there. You have to get a copy! 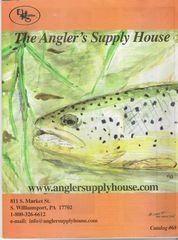 If you're looking for a great selection of Whiting Farms American Hackle hen necks, saddles, and capes this is the place. 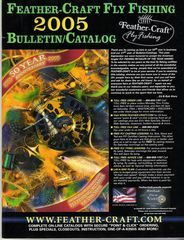 Another great catalog from Feather-Craft in St. Louis. They have the Mustad 3366 bass bug hook that I use in many of the patterns on WarmWaterFlyTyer. 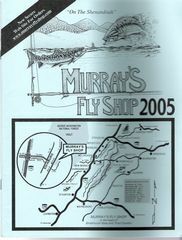 Harry Murray offers a great selection of Smallmouth Bass Flies and the materials to tie them. 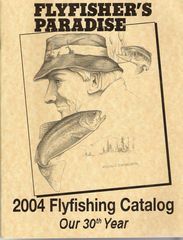 Flyfisher's Paradise offers a great selection of Mustad hooks and domestic hen necks at a reasonable price. Of course, they also have a full line of other fly tying materials. 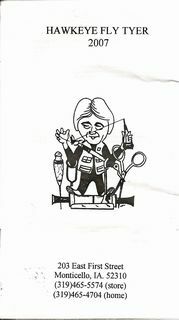 They also provide a great online beginning fly tying class at no cost to the viewer. This is one of the few mail order houses where you can purchase 100% pure rubber (square) legs in small sizes and a variety of colors. They also have a big variety of sponge rubber bug bodies. 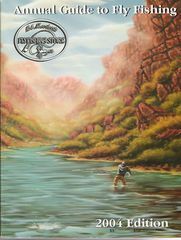 Bob Marriott's Flyfishing Store in Fullerton, CA has a catalog that has more fly fishing materials than any fly shop I know. You will have to send them $5.00 to get their huge catalog but you also get $5.00 off your first order. 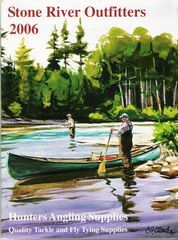 Click here for their on-line catalog. This is my friend Mike Jacob's catalog. It ain't fancy but it's chucked full of great fly tying materials at great prices.